Gridy Premium Blogger Template Free Download - Gridy Blogger Template is a responsive, magazine photography and gallery style Blogger blog Template and having a simple and clean look with great features likes Seo Friendly and Grid style. 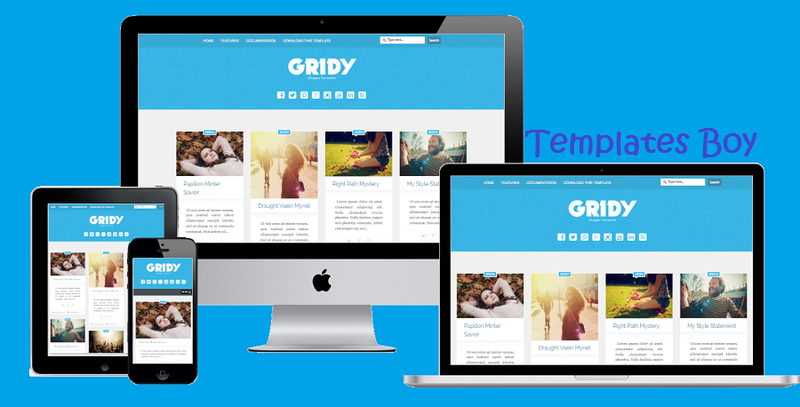 Gridy is a MultiPurpose blog themes that cater to the needs of the bloggers. Gridy is fully responsive in itself, as the theme adapts its layout according to the screen sizes. Immediately let's look at some interesting features from the Gridy template.